Mussolini didn’t want his daughter to go to school. Instead, he had planned to home school Edda after his return from the war. His wife Rachele didn’t agree with this plan and enrolled their daughter at a primary school near their house. Both her parents, though, opposed Edda’s idea of enrolling at a dance school to become a dancer. When her father had returned home earlier than expected because he had been wounded during a military exercise he had taken Edda to the theatre. She didn’t like the opera nor the plays and the only time she enjoyed herself was when she saw the Excelsior Ballet. Once home, she would spend hours talking about it and had shown to have a talent for dancing but her parents put an end to her dreams. Benito thought the profession of dancing led straight to prostitution. But there was also another reason for his refusal. Dance schools enhanced femininity in a girl and that’s exactly the opposite of what he wanted for his daughter. Edda had to have a male education. He made her wear her hair short like boys, ordered her never to cry and never to be scared of anything. He would oblige Edda to hold a frog in her hands, or to get back on a carriage whose horse had got frisky, to win her repugnance and fear. He also decided his daughter had to learn how to play the violin and hired Edvige Fiscina Tretti, a teacher from the Scala, to teach her. The lessons would go on for hours but with little improvement. In the meantime the family grew bigger. 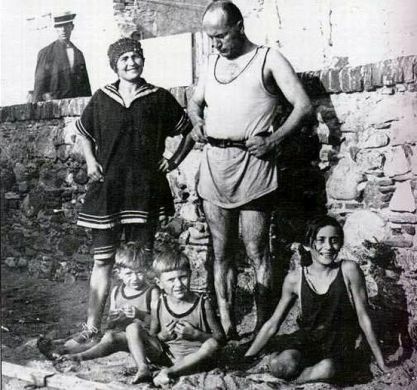 Rachele had given birth to another boy, Bruno, in 1918. Even though she was still a little girl, Edda already had a “boyfriend”. He was the son of a medium Mussolini had a brief affair with and was a few years older than Edda. He would give her small presents, such as a walnut or a liquorice, and the two would kiss in a little cellar. He promised Edda that he’d marry her one day. But her father found out and put an end to the relationship. He ordered Edda not to see the boy anymore but she still accepted the presents he managed to secretly send her. However, soon even this ended and Edda and her family moved to a richer part of Milan. In 1919 Mussolini and the fascist party took part in the political elections but not a single deputy from their list was elected. It was a disaster. At night, the socialist would march under the window of his house carrying a coffin with the words “Here lays Mussolini” written on it. Poor Rachele and Edda were shocked and distraught when they saw it. They had believed Mussolini had really died! She would then sometimes wake up in the middle of the night after dreaming about her father’s real funeral. Mussolini was very disliked at this time, especially by the socialists and communists, who would sing indecent songs about him and how they would kill him. Rachele was scared they would one day attack her and her children and whenever they passed near her house, she would sprang the door and hide with them in the attic. She also had a gun to defend herself with. But Mussolini’s political career was, unfortunately, far from over, as we all know. In the meantime, Edda was growing into a teenage girl. She attended the Parini Grammar School and her marks were good but she got a poor one in conduct, to show that even though she was growing up she was still a restless and stubborn rebel. Edda and her best friend Amelia Perrone were the only two girls attending the fascist section, which had been founded by Edda’s herself. Her schoolmates retaliated by founding another section inspired by the Popular Party and the two groups would often fight. In the meantime, the fascists section had gained two more students. A few short years passed. The economic crisis, the social unrest and political instability of Italy after the war paved the way for Mussolini’s rise to power. He was now the Prime Minister of Italy. Mussolini had always been anticlerical and because of that he had refused to have his kids receive the sacraments. But now that he was in power, he realized how important it was for the Fascist regime to gain the support of the Vatican. The first step was to baptize his children, an event which took place privately. He also decided it would be good for his political career to wed Rachele in a religious ceremony. Before the event took place, the three children received both the Holy Communion and the Confirmation. 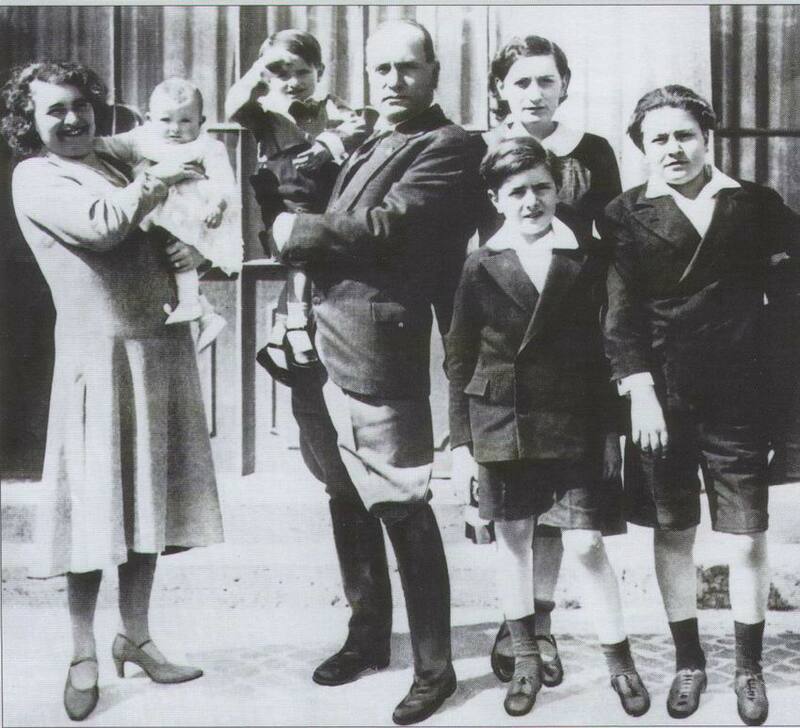 However, all was not well in the Mussolini family. Tired of her husband’s continuous infidelities, Rachele moved to Predappio, near Forlì, with their children. The man who wanted to personally educate his daughter now decided to send her to the Regio Istituto Femminile Della Santissima Annunziata, a very exclusive school were royals and noblemen sent their daughters to receive a good education (Princess Marie Jose of Belgium had studied there too). The headmistress of the school suddenly received a telegram from Mussolini ordering her to prepare everything for Edda’s arrival and to treat his daughter just like everyone else. The real problem, though, was that the other pupils, proud of their birth, considered Edda inferior to them and treated her accordingly. But that wasn’t the only reason why she didn’t enjoy her time at the school. Edda was a rebel and it was really hard for her to get used to the rules and formality of her new school. Her studies didn’t improve either. Finally, summer holidays arrived and she spent them in Cattolica, where she saved a girl who was drowning. The papers praised her courage and her generosity and Edda received a medal for it. That summer she also managed to convince her parents to send her to her old school, the Parini Grammar School. However, she soon dropped out of school altogether.